DMX (He’s cray-cray) & wife Tashera on Couples Therapy. I stumbled across this show the other night and I was sort of appalled at what I saw and heard. Tashera Simmons and Earl Simmons (DMX) have been married for several years (seperated for the last 6) and have 4 children together. 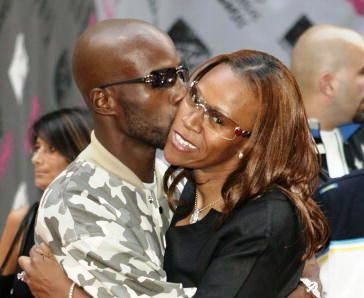 DMX also has SIX other children with different women that he had while still married to Tashera. Thats right, 6! Tashera appears to be a mild mannered and sweet woman. She has been with him since they were 11 years old, so there is much history between the of them. She even said that she ‘loved him more than she loved herself’. But, having history & even loving someone doesn’t mean you have to stay and put up with abuse. I am a huge advocate of love and marraige and I believe wholeheartedly in the institution, but if I could give one bit of advice to Tashera, I would tell her RUN and not look back. DMX is clearly unstable and an addict. He has been in and out of trouble for many years now, due to drugs and other violations. He also claimed on the show that he isn’t capable of being faithful and that his ‘male member’ is to blame. You cannot love people’s demons away. Until they are ready to make a change, no one else can. God is a healer but He will not force healing or deliverance on you. It is a choice. I hope that for the sake of his children, DMX gets the help he needs. He doesn’t need to be on Couples Therapy. He needs to be on Celeb Rehab with Dr. Drew and in the front pew of somebody’s church. Just my humble opinion. 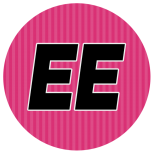 This entry was posted on March 29, 2012 by Toiah in Everything you want, Reality TV Tidbits, The Gladys Kravitz Files - Research and Reports... and tagged Couples Therapy VH1, DMX, DMX Marriage, Tashera Simmons.